Did you know that in terms of Geology, Shropshire is one of the most important counties in the UK? This is because it contains traces of 11 of the 13 recognised geological periods. You can find other treasures amongst the ancient rock, from Iron and Bronze Age remains to rolling meadows, lush woodland and babbling brooks. With so much to explore and discover within easy reach of our Upper Norton property, the best way to see everything is to get out and about on your own two feet. Grab your walking boots and set out into these iconic landscapes, drinking in the fresh air and beautiful scenery of the Shropshire Hills. To add to our collection of walks near Upper Norton, we’ve pulled together another eight of our favourite Shropshire walks for you to discover during your stay. Although these may be a little further from the property, they’re well worth the journey. From dramatic hills to stunning woodland, you’re sure to find a route which captures your imagination! Part of a range known as the Stretton Hills, Caer Caradoc is perhaps one of the most iconic of the Shropshire Hills. It’s distinctive shape and steep slopes are studded with dark volcanic rock, formed when one tectonic plate was forced beneath another in the Church Stretton Fault. The summit of Care Caradoc is marked with a large Iron Age fort, where the British Chieftain Caradoc resisted the Romans for over a decade. Legend says that the final battle was fought on the mountain, when Caradoc was defeated by the Roman General Ostorius Scapula. Caer Caradoc is best climbed along with the Lawley or the Hope Bowdler Hills, with the recommended starting place being Church Stretton, a 20-minute drive from Upper Norton. The route will take you through the forest and up to the summit, where you can enjoy fantastic views of The Wrekin and Wenlock Edge. The walk then takes you back down to the charming village of Cardington, before returning to Church Stretton via Willstone Hill. 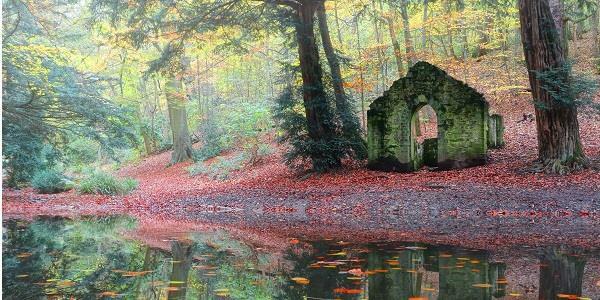 Decorated with aged beech trees, this genteel walk takes you through a quiet corner of the Welsh Borders. The row of trees stretches for a whole mile, and was planned by Robert More, MP for Bishop’s Castle in the 18th Century, leading towards his family home at Linley Hall. Unfortunately, the current trees are not the originals, which were felled for the war effort in 1916, but were planted in 1937 and have since matured. Starting at Lydham Village Hall, just 20 minutes from our property, you can follow the stream across the fields and towards Norbody. The mile-long drive starts at Avenue Lodge and stretches towards Linley Hall. From here, continue to Norbury where you’ll find the All Saints Church – the enormous tree in this churchyard is thought to be over 2,700 years old! From here, you can join the famous Shropshire way. 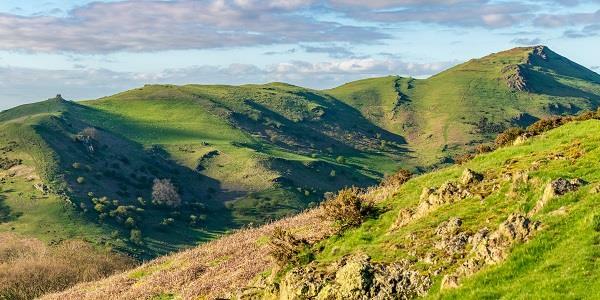 This 7-mile ridge can be found to the west of the Church Stretton fault, and is the most popular of the Shropshire Hills. It’s often referred to as ‘Little Switzerland”! There’s several small, steep-sided valleys (batches) which cut into the ridge and create some excellent walks to the top, the most popular of which is the Carding Mill Valley (managed by National Trust). Another gem is Ashes Hollow, which is a long and twisting valley through the wildlife-rich heathland above Little Stretton. The Carding Mill Valley walk to the top of Long Mynd is around 5 miles long, and takes just over two hours. From the Chalet Pavilion (22 minutes from Upper Norton), follow the stony path running alongside the stream to the head of Carding Mill Valley, then up to the top of the hill. To return, follow the route across the moor, through the rolling heather and past the dramatic Townbrook Hollow. Take a wander through this dark, lush woodland and you’ll be surprised by what you find, from historic buildings to a long-abandoned church. This 6-mile circular walk is perfect for discovering unspoilt countryside and rich historical sites. Starting in the hamlet of Acton Burnell, just over half an hour’s drive from the property, take the path opposite St Mary’s Church, through the trees and onto a quiet road to Ruckly. Here you’ll find the lane to Langley Chapel. Once a busy church and community, this idyllic, serene gem was abandoned in 1871 and now sits unhabituated in the middle of a field. Moving on, you’ll find about six miles of quiet lanes around Park Wood, a beautiful English forest teaming with wildlife. If you’re after a relaxing stroll through flat meadows and along the river, the Onny Meadows Trail is a great choice. It’s a flat 1.5 mile walk which starts only a 5-minute drive from Upper Norton at the Shropshire Hills Discovery Centre. Onny Meadows is made up of 30 acres of water meadows, set on the flood plain of the River Onny. Once a wonderful place to graze cattle, today it’s a favourite of walkers and families coming to learn about the nature and heritage of the Hills, with great facilities as well as beautiful surroundings bursting with riverside paths, wild flowers and woodland. The main 1.5 mile walk around the meadows is well-signposted, and there are five other trails which you can also follow. You can purchase a guide for the walks at the Discovery Centre for £1 each o £5 for all six. 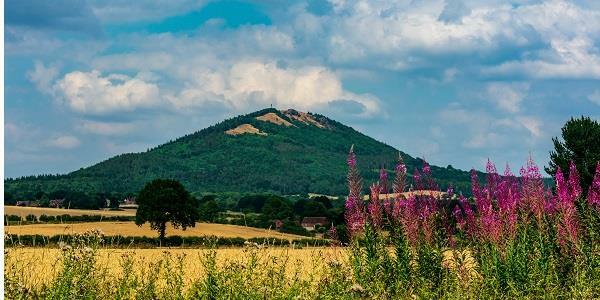 This 10-mile walk starts just 25 minutes from our Upper Norton property, with good views of the Wrekin and Brown Clee, dynamic countryside and the chance to visit various places of interest. There are some steep uphill sections, but the beauty of this walk is the huge range of landscapes and terrains that you will experience! Take a picnic to enjoy on the route, and this makes for a fantastic day out. 20-minutes from the property, Rectory Wood and Field is a 10 hectare site which joins the town of Church Stretton with the Long Mynd. The woodlands are beautiful throughout the year, from the first bursts of snowdrops in late winter to the reds and golds of the autumn foliage. 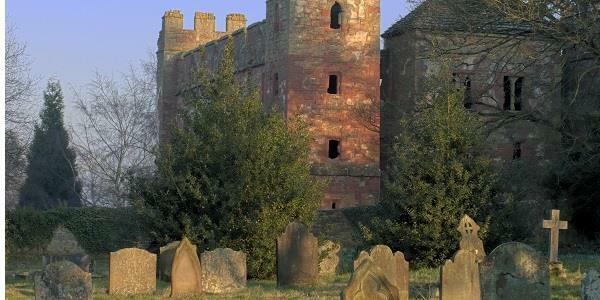 It’s no wonder that this site was once voted the ‘least stressful spot in England’! There is a good path network through the site, with bridges across the brooks and steps up the steeper slopes. There is a family-friendly walking route which can be accessed at the link below, and provides some stunning views, ancient trees and even the chance of spotting the plethora of local wildlife! If you’re feeling adventurous, the wood has many other well-maintained footpaths and routes to explore… it’s easy to while away several hours here and not see everything on offer! The hogs-back shape of the Wrekin can be seen from most of Shropshire, surrounded by flat land on all sides. It was formed by volcanic activity, triggered by the nearby Church Stretton fault, and today you can still find various volcanic rocks and formations on its slopes. The sides of the Wrekin are covered in woodland, but the summit remains mostly open, providing excellent views. These were taken advantage of by the Celtic Cornovii tribe, who build a 20-hectare Iron Age fort here. For the main path up the hill, start at the car park at the Forest Glen, 45 minutes from Upper Norton. The path is well-surfaced and easy to follow, turning sharply right, then left again at the Halfway house, before rising to the open ground at the top. It’s just over a mile each way, although there are quieter, less-maintained public pathways for those who wish to escape the beaten track. 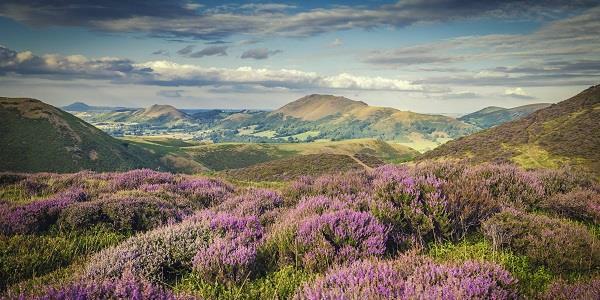 For keen walkers and lovers of the great outdoors, the idyllic Shropshire Hills are something of a hidden gem. As well as these great walks, and dozens more, the hills play host to the annual Wistanstow Challenge Walk – a must-do to any long-distance hikers. Visitors to our Upper Norton property fall in love with the rolling green hills and stunning views. And after they’ve had their fill, they can return back to this beautiful traditional farmhouse and settle into some comfortable luxury cottages and apartments. Surrounded by the beautiful scenery of the Shropshire Hills, it’s the perfect place to rest those tired feet. Find out how you can enjoy a relaxing stay at Upper Norton, as well as the rest of our properties, here.